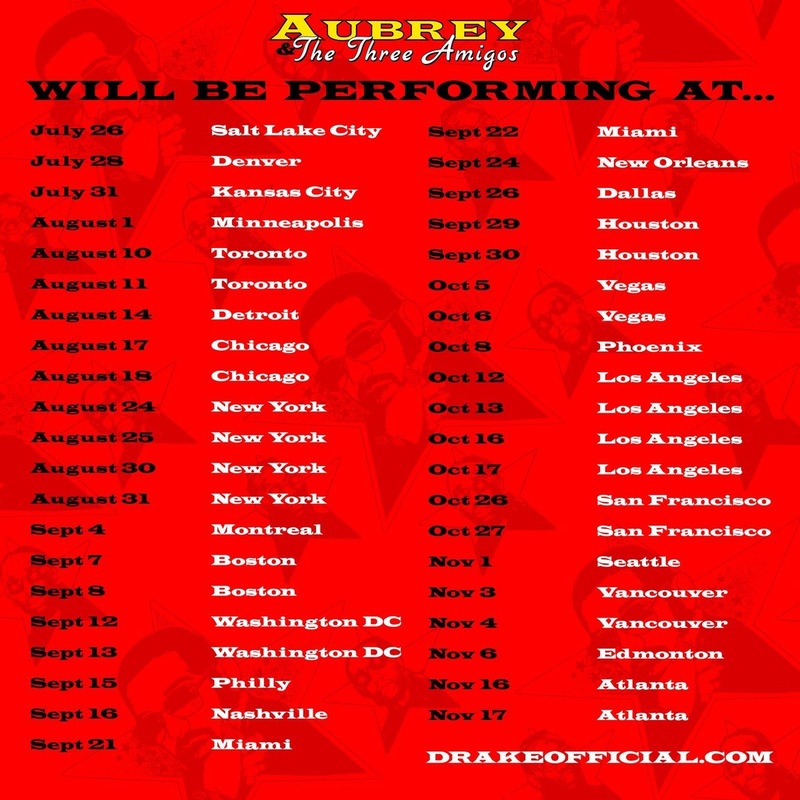 With Drake’s 5th studio album, Scorpion, on the horizon, and Migos dropping radio hits left and right, it was only right the four would come together for a 41 city tour.That’s right, the “hand picked dream team” of Drake, Ouavo, Offset & Takeoff officially announced the “Aubrey & The Three Migos” tour. The tour is scheduled to kick off on July 26 in Salt Lake City and continue to hit large markets including Toronto, Chicago, New York, Boston, Los Angeles and more. Chicagoans will have the opportunity to see the tour at least twice as the tour will take over the United Center for back to back nights on August 17 & 18. A new date of August 20th at Chicago’s United Center has been added. Tickets for general public go on-sale this Friday, May 18th on Ticketmaster. A special American Express cardholders pre-sale begins tomorrow May 15th at 10 a.m.